Click here to learn how to qualify as an AGF-approved program, and how to order. AGF programs also receive discounts of 15% or more from our Go vendor partners. Two young Korean pros lay out the basics in seven lessons, taking the reader from complete novice to game-ready. Please download and share this wonderful book. Click here to view the "Errata" page on Sensei's Library. 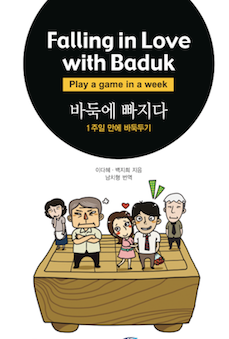 Written by a Korean master teacher who has taught baduk to thousands of children, Level Up! 1 presents hundreds of simple problems that give beginners lots of practice with the basics. Specially designed to appeal to children. Thanks to the generosity of the publisher, Baduktopia, the AGF is able to offer a FREE copy of Volume One to libraries and schools with active Go programs. If you order at the same time that you request a Class Room Starter set, there is no charge. If ordering separately, we charge $5 to cover shipping and handling. Yellow Mountain Imports sells all ten volumes. 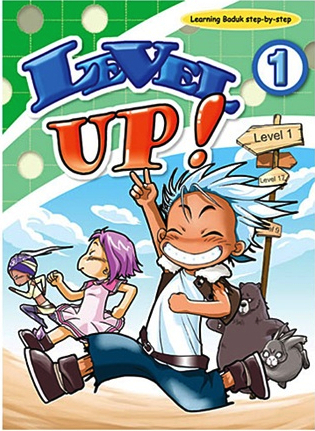 If you like Level Up!, be sure to check out Baduktopia's four-volume Essential Life and Death. NOTE: These books contain only problems. You can download the answers here. Never seen an issue of Go World? Now's your chance! Click here to download a FREE sample issue (#45). NOTE: This offer is valid only in the US. This offer is available only to members of The American Go Association. 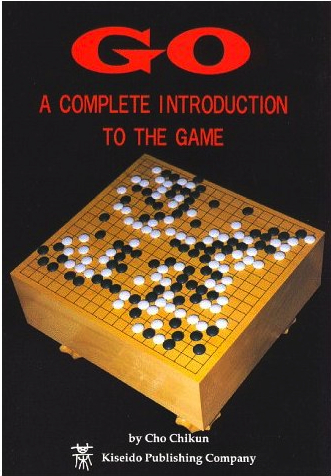 Go As Communication by Yasuda Yasutoshi, a 9 Dan professional Go player (Slate & Shell Press 2001) presents a whole new way of looking at the game. When Yasuda became concerned about social problems among young people, he began visiting Japanese schools, teaching children a simplified version of Go, which he called "First Capture Go." Seeing immediate positive effects, he expanded his efforts to homes for the elderly and then to institutions for the mentally and physically handicapped. This book is the record of a surprising discovery, namely, that "First Capture Go" can have enormous educational and therapeutic value, even with senior citizens and those suffering from developmental delays and other disabilities. The American Go Foundation will send a free copy of this inspiring book to any Go teacher who lives in the US. Contact us at mail@agfgo.org to request your copy. When you write, please tell us a little bit about yourself and why this book interests you. Be sure to include your mailing address. This highly readable introduction tells beginners everything they need to get started. Interspersed chapters on culture, history and other aspects of the game make this beginners book fascinating from beginning to end. If your library is only going to have one book on Go, it should be this one.